Can I buy a used motorcycle on finance? 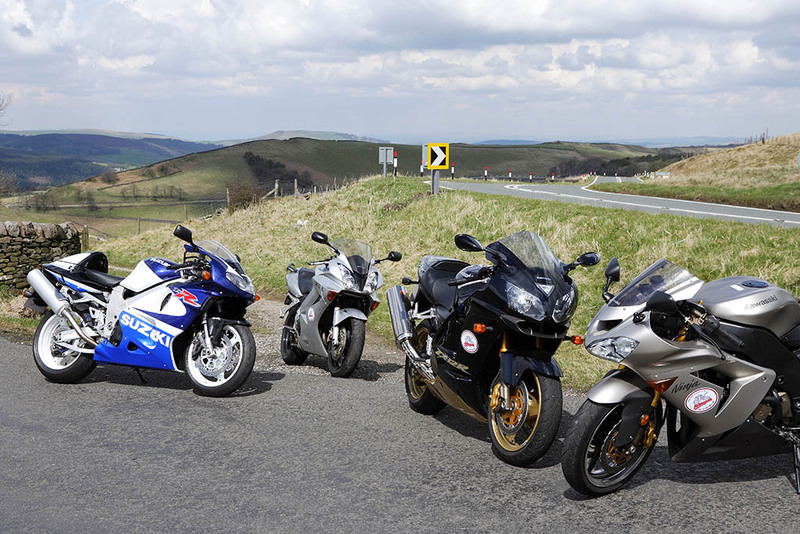 Home » Bikes » Finance » Can I buy a used motorcycle on finance? Yes, it’s not just new motorcycles and scooters that are available with finance packages like HP and PCP. You can spread the cost of a used motorcycle with monthly payments and the most common options are HP and PCP. Most dealers will be able to offer you flexible HP and PCP offers – but you can also shop around for a more competitive finance package and take that along to a dealer to buy your used bike. Another option is to take out a regular loan, from a bank for example, and buy a used bike that way by paying the dealer in cash and then paying back the loan. How do I buy a used bike with Hire Purchase (HP) finance? Most finance packages require you to make a deposit and then you’ll pay back the amount you borrow in monthly installments. You’ll follow a similar process whether you’re buying new or used. You’ll set the timeframe of the loan, usually between 12 and 60 months and agree the APR (interest rate) which will give you a fixed monthly payment you agree to meet. With Hire Purchase, your payments are calculated so that when you make your last payment you’ll have cleared the debt and you’ll own the vehicle. The larger the deposit, for a given term, the lower your monthly payments will be. Equally, the longer the term of the loan, the lower your monthly payments will be but you’ll end up paying more, the longer the duration of the agreement. The bike will belong to the company financing your purchase all the way through the term of the contract until you’ve finished paying it off. It’s unlikely that you’ll be able to finance a bike or scooter that’s more than 5 years old and keep an eye on the contract as there may be annual mileage limits on the bike. How do I buy a used bike with Personal Contract Purchase (PCP) finance? PCP finance agreements will almost always specify a mileage allowance and if your bike is your sole means of transport, you may find these restrictive. Because PCP is designed around you handing the keys back at the end of the term, you may get penalised if the bike’s in poor condition or if you exceed the mileage limits. Can I finance a used bike with a bank loan? Absolutely. In many ways a bank loan is the best option as it allows you to buy the bike outright and pay off the loan. This is called an unsecured loan, i.e. the loan isn’t secured on the vehicle. The beauty of buying a used motorcycle with a loan outside of HP or PCP is that you’ll be more flexible should your circumstances change. If you want to sell the bike, you can – and used the money to pay down the loan or buy another motorcycle. Smaller dealers may have a better range of bikes in your price bracket and may not have access to PCP or HP finance deals, meaning that you’re not just restricted to main or larger dealers to buy a used bike. If you buy a used bike with HP or PCP through a dealer, in many ways you’re on the treadmill. The dealer will no doubt see you as an opportunity to sell to again. So your used bike on finance might be great but the dealer could have you in their sights for a new bike, offering you ‘a great upgrade’ or a newer bike for a slightly larger monthly payment when you come close to the end of your finance package. Be wary, stick to your guns and don’t inadvertently slide into a finance deal you never wanted in the first place. Keep an eye on any mileage restrictions on the finance agreements as exceeding these could cost you a pretty penny. Your agreement may stipulate you get the bike serviced at an official dealer, meaning servicing prices might be more expensive than at an independent garage or doing it yourself. Often new bikes come with manufacturer incentives, as they want to push a new model or clear out stock. Sometimes it’s possible to pick up a brand new, end of line model with a large manufacturer-backed deposit contribution for not a lot more than a low-mileage used model. Don’t always assume a used bike offers the best deal. Remember, you’re borrowing money and you’ll pay back more than you borrowed. Do your research and ask yourself if you can really afford a bike on finance before you sign on the dotted line.